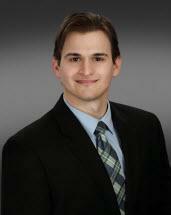 Collin White is a licensed Texas attorney who earned a B.S. in Psychology from Texas A&M University and later graduated from Texas A&M University School of Law. While in law school, he attended night classes while also working full-time. While not without its challenges, it afforded him the opportunity to gain practical experience working as a paralegal for a probate attorney in Fort Worth. It was there that he learned the fundamentals of probate and estate planning and found his true passion. Collin truly enjoys helping people, whether it be assisting them through the loss of a loved one or crafting a plan for the disposition of their estate. Collin later joined the Law Office of Yolanda Castro-Dominguez as a paralegal, working on a wide variety of cases, including family law and probate, from their inception to trial. As an attorney, he primarily focuses on Probate, Estate Planning, Family Law, and Real Estate Law.